Like many book lovers, I spend 80% of my spare time reading. There's nothing like reading an amazing book and forget about everything around me, but sometimes I need a little break. I'm going to try to do a post every Sunday night telling you about what I did during the week with the rest of my free time. Hopefully you'll enjoy and discover new things to do while you are not reading. Here we go. This guys are hilarious and once you watch a video you'll be hooked! And.... I love doing my nails. This week I bought 2 nail polishes inspired by The Hunger Games movie, and they are amazing!! 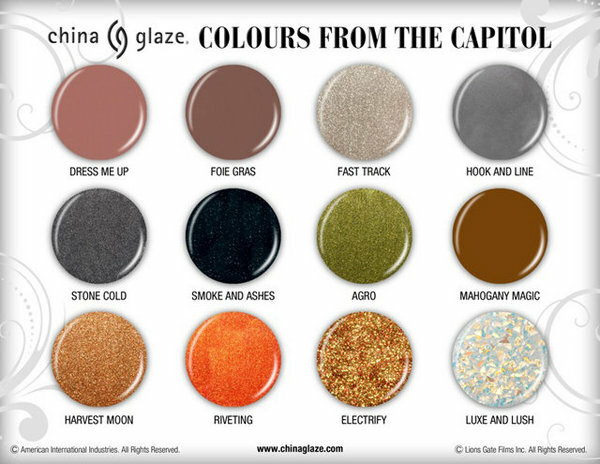 They are called: "Capitol Colours" by China Glaze. The ones I bought are : Harvest Moon and Electrify.